You'll have to come back on Feb 13, 2011 for my full review, but I can say that I really enjoyed Courtney Moulton's debut novel. It's full of adventure, mystery, romance and intrigue. I liked the worldbuilding and mythology that Moulton is creating in this series; very unique and fresh in a familiar way. I'm looking forward to seeing where the rest of the series will be going. A good, solid beginning from an up and coming new author! So, I know it has been a slow week at From My Bookshelf, faithful reader, and for that I apologize. Life has a funny way of tripping me up lately. Not much of an excuse, but there it is. I have nothing in the way of reviews because I haven't read much this week; scandalous, I know! However, I have had an exceptional week for book acquisitions! Earlier this week I had the great opportunity to see David Sedaris live at one of my local bookstores, and got his new book, Squirrel Seeks Chipmunk, signed! His is extraordinarily funny and so generous with his time, and if you ever have the chance to meet him, I'd highly recommend it. Today, I picked up The Strange Affair of Spring Heeled Jack by Mark Hodder. I've been hearing such really good things about this debut author's steampunk adventure that I just had to give it a try. So, as you can see, a slow reading week, but a great book buying week! Steampunk! What's it to you? No, seriously. Steampunk. What is it to you? I've been finding myself more and more intrigued by the (sub)genre lately, especially due to new authors such as Cherie Priest and Gail Carriger, and I'm wondering, gentle reader, what do you consider some other Steampunk reading goodness? I've read all of Gail Carriger's Parasol Protectorate series, and I've got Cherie Priest's Clockwork Century sitting at the top of my TBR pile to start this weekend. I've also read Tim Powers' The Anubis Gates, Philip Pullman's His Dark Materials series, Philip Reeve's Larklight (but not the succeeding volumes), Alan Moore's The League of Extraordinary Gentlemen series and the DC Elseworlds book, Gotham by Gaslight. What else is there? I'm trying to come up with a reasonable list of what people think of as being the best of the best of Steampunk. So, tell me, what is Steampunk to you? Today's PSA: bn.com doesn't adjust preorder prices! Here's an interesting little bit of information that I discovered today. I preordered Fannie Flagg's I Still Dream About You (out today from Random House!) back in July at the price of $17.55. As of this morning, I honestly couldn't remember if it came out today or next week, so went to the B&N website to check the release date and discovered #1) it did indeed come out today (yay! ), and #2) that the price was dropped to $13.97 (double yay!). I was rather happy on both counts, since #1) my book should be shipping today, and #2) that I was getting it for a lesser price. Well, I was only right on one of those counts. It turns out that you pay the price that was being offered at the time of preorder, regardless if the price goes down on day of release. You have the option of canceling the order and placing a new one, but that's only if you discover the price change before your item is shipped, which I didn't until I got the notice today that showed it had shipped, but at the higher price. I called their "help" line, and their suggestion was that I purchase the book again at the lower price and then return the original item to a store for a credit on the higher price. Now, maybe I'm just irritable today, but that totally rubs me the wrong way. If you preorder an item from Amazon, for instance, "...the price we charge when we ship it to you will be the lowest price offered by Amazon.com between the time you place your order and the release date" (quoted from their Pricing help link) and I just assumed that everybody did that. I guess I was wrong. It seriously makes me want to reconsider ordering from B&N again in the future. So, I don't know that this really makes all that big of a deal, but it's just something that I thought that I'd pass on to my readers, just as an FYI. When Henry was a child, something terrible happened in the woods behind his home, something so shocking he could only express his grief by drawing pictures of what he had witnessed. Eventually Henry's mind blocked out the bad memories, but he continued to draw, often at night by the light of the moon. Twenty years later, Henry makes his living by painting his disturbing works of art. He loves his wife and his son and life couldn't be better... except there's something not quite right about the old stone farmhouse his family now calls home. There's something strange living in the cramped cellar, in the maze of pipes that feed the ancient steam boiler. A winter storm is brewing and soon Henry will learn the true nature of the monster waiting for him down in the darkness. He will battle this demon and, in the process, he may discover what really happened when he was a child and why, in times of trouble, he thinks: I paint against the darkness. Written as both a meditation on the art of creation and as an examination of the secret fears we all share, The Painted Darkness is a terrifying look at the true cost we pay when we run from our grief--and what happens when we're finally forced to confront the monsters we know all too well. The Painted Darkness is a fairly quick read, and one that did a reasonably good job of keeping my attention. Alternating between events of twenty years ago and today, The Painted Darkness slowly unfolds a series of events that shaped the entire course of Henry's life, while simultaneously telling the story of Henry's eventual confrontation with the demons from his childhood. 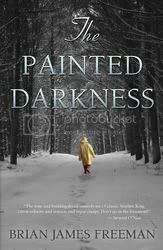 Read as both part ghost story and part psychological thriller, The Painted Darkness touches on many aspects all at once. The fact is, there seems to be a probability that the demons from Henry's childhood may, in fact, be real. Or they may not; they may be the result of Henry's extraordinarily vivid imagination. 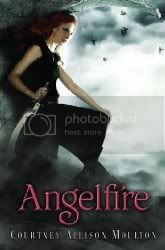 This is one of those books where I really think every person will take a little something different away from it, depending on how they want to perceive the events of the story. Personally, I think the story is about ultimately coming to terms with your own personal demons and finally putting them to rest, be it through your creativity (Henry is a painter, and he paints to get the dark images out of his mind) or some other means. Like I said before, the story is a fairly quick read, and the flipping back and forth between Henry's childhood and his adulthood does a nice job of opening up the secrets of his past while at the same time showing how he deals with them in his present. This was a nice touch, that I didn't feel really overplayed the back and forth too much at all. The inclusion of what I'm assuming are supposed to be some of Henry's paintings was nice, but seemed lacking in some way. Maybe because they are in black and white (and maybe the finished copy will have them in color) or because they didn't always seems to match exactly what was going on in the story, but I felt that these could probably have been left out, and nothing would have been lost in the telling of the story. Overall, a nice, creepy little book that would probably be good to read on a dark and stormy night. A beautifully haunting story about love, obsession and secrecy. You'll have to wait for my full review until March, 2011, but do yourself a favor and preorder this mesmerizing book right now. You won't be sorry. 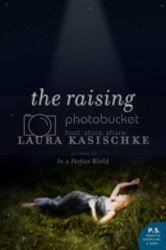 Laura Kasischke is one of the most amazing authors you will read.